When Zoolander actors Ben Stiller and Owen Wilson took their model characters down the runway of Maison Valentino’s PFW show, the internet almost broke in half. The content strategy, or, joke (ahem) didn’t stop there. Valentino and Zoolander also collaborated to do a photo shoot in front of the Eiffel Tower with real models Xiao Wen Ju and Tilda Lindstam. 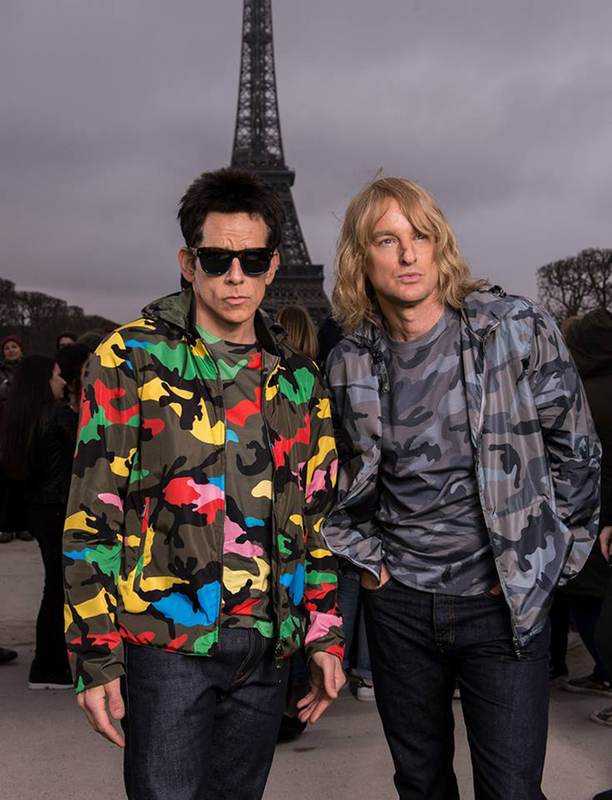 Stiller and Wilson are in full Blue Steel effect while they model camo pieces from the fashion houses collection. Equal parts ad and publicity photos, the pics have been posted to Valentino’s Facebook page and are generating even more buzz for Zoolander 2, the actors and the fashion label.